Anyone who has read my new book or followed my work online for the past several years knows that I frequently talk about sand narratives created by Australian Aboriginals as a counterpoint to the structures found in the visual language of comics. I find these drawings made in sand to be extremely interesting and important for the study of sequential images and drawing in general. In fact, learning about them has been pivotal in forming my broader ideas of visual language, which is why I included a whole chapter about them in my book. I first learned about Australian sand narratives from my post-undergrad advisor Dan Slobin, who introduced me to David Wilkins, a linguist who had written about the sand narratives of the Arrernte. This led me to read lots of papers by anthropologist Nancy Munn about the similar systems created by the Warlpiri. I'm happy to say that seminal papers by both of these authors will appear in my upcoming edited collection on visual narratives, out in late 2015/early 2016. In the chapter on my book, I attempted to distill the information about sand narratives regarding the features of the graphics alone. However, as with images in comics, they rarely appear isolated, and are usually embedded within a broader system of speaking, drawing, and signing. It is these broader multimodal interactions which Jenny is most concerned. If you are interested in how these systems work beyond the broad overview I present in my book, I highly recommend checking out Jenny's new book. It is extensive, enlightening, and is now the first comprehensive work discussing these systems. Hopefully it won't be her last. 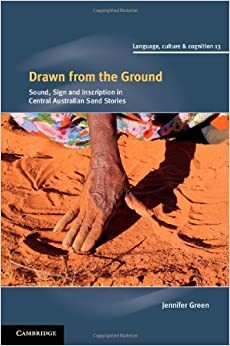 "Sand stories from Central Australia are a traditional form of Aboriginal women's verbal art that incorporates speech, song, sign, gesture and drawing. Small leaves and other objects may be used to represent story characters. This detailed study of Arandic sand stories takes a multimodal approach to the analysis of the stories and shows how the expressive elements used in the stories are orchestrated together. This richly illustrated volume is essential reading for anyone interested in language and communication. It adds to the growing recognition that language encompasses much more than speech alone, and shows how important it is to consider the different semiotic resources a culture brings to its communicative tasks as an integrated whole rather than in isolation." New paper: Building a better "comic theory"